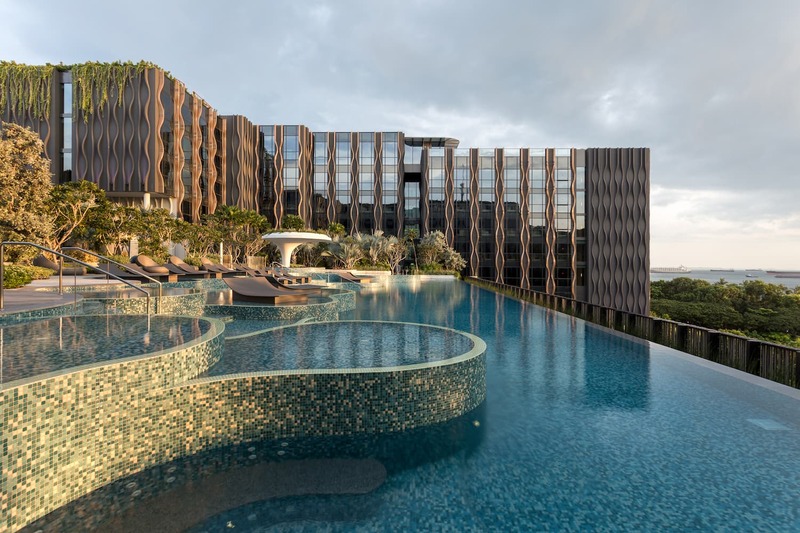 Singapore-based Far East Hospitality’s upcoming three-property portfolio in Sentosa has been on everyone’s lips since the project was first announced. 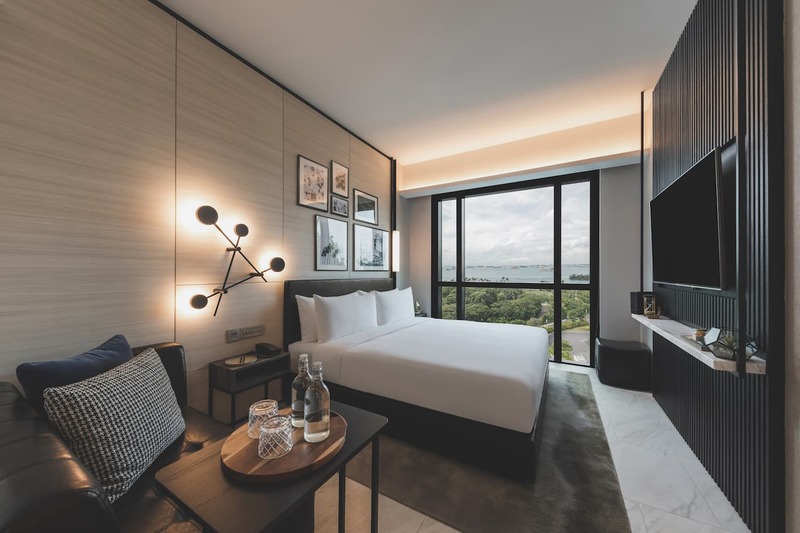 Comprising of Village Hotel at Sentosa, The Barracks Hotel, and The Outpost Hotel, the properties are slated to open this year on Artillery Avenue in the Palawan area of Sentosa. The latter, The Outpost Hotel, is a new brand under the hospitality brand’s portfolio. The hotel, a 5-star accommodation that exclusively caters to adults, takes inspiration from Sentosa’s heritage as a military base. 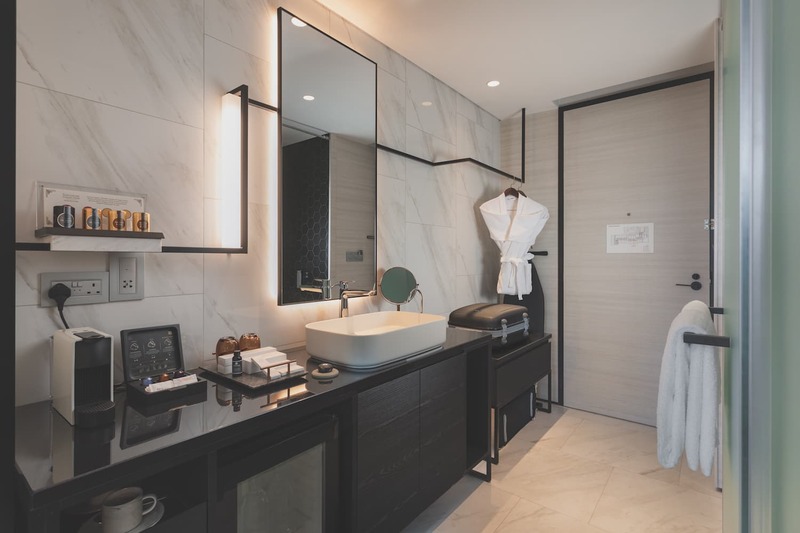 Once opened, all 193 rooms will feature interiors that are a stylish reinterpretation of British-inspired black and white suite look, accentuated with natural woods, crisp lines and sharply contrasting palette. Interiors of rooms at The Outpost Hotel. Perched at the top of the hotel is the pool exclusively for guests. The dining spaces, overlooking the sea, is perfect for evening cocktails, candlelit dinners and intimate celebrations. Additionally, the hotel is also home to the Events Centre, a two-storey conserved building located within the property. The meeting rooms, ranging from 73sqm to 160sqm when combined, are fit for small scale parties and wedding festivities. The Revelry Hall on level 2, part of the Events Centre, offers a beautiful space for wedding celebrations that can cater up to 160 guests. As part of the opening exclusives for guests staying at the property until June 2019, The Outpost Hotel is working with Ola Beach Club to offer guests an option to have their breakfast there instead of Native Kitchen (the shared breakfast buffet with Village Hotel at Sentosa.) 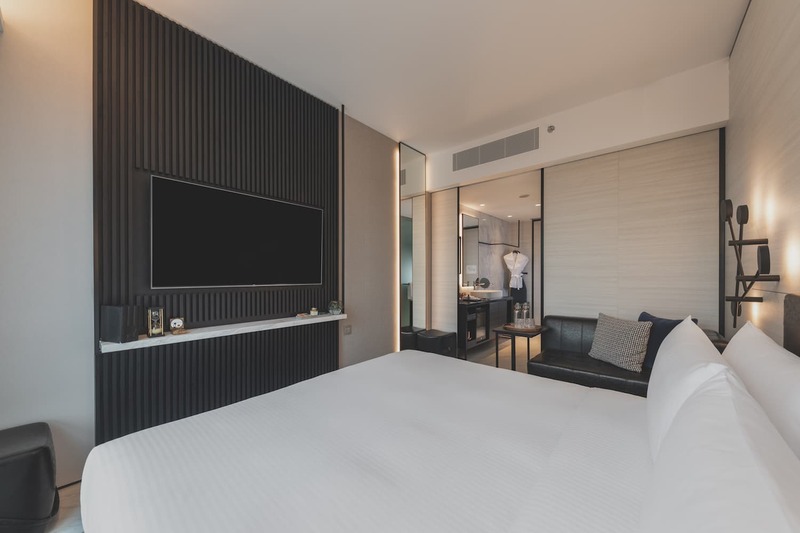 The exclusive will be available to guests staying at The Outpost Hotel until June 2019. The hotel is slated to open in July 2019. Guests are invited to start placing their room bookings for stay from 1 April 2019 onwards.